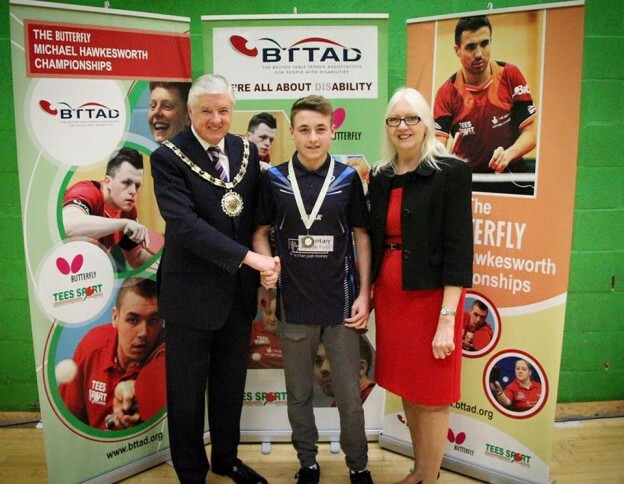 Congratulations to junior club member Ryan Henry who picked up two medals at BTTAD National Championships which were held in Grantham on the 5th & 6th of March. Ryan (15) who is a pupil at St Matthews Academy is one of the hardest workers at the club and over the past year has dedicated a lot of time and effort improving his game. Ryan won a bronze medal in Class 8 where he lost to Team GB member Ross Wilson & picked up a silver medal as he reached the final of Band B. This entry was posted in Latest News on 21st March 2016 by Chris Main.